Best time to GO: June - Oct. Some of the tourist attractions are only open in the peak Summer season, but expect more crowds then too. Our Family motto is "Always an Adventure," and for the long MEA weekend in October, that's exactly what we were looking for. The Black Hills in SD, full of fun things to explore for an 8 and 10-yr-old boy and girl (and their parents), checked everything on our list. So, we packed up our sweet minivan to set out on a road trip, crossing our fingers for good weather. October can either bring loads of snow or sun in the 60’s. Located within 8-10 driving hours of the Twin Cities, depending on what part you visit, it’s a manageable one day drive. We decided to break up the trip for the sake of everyone's sanity and spend a night in Sioux Falls, which is 4 hours for us. Another great option is to make the majority of the trek and get a room in Wall, SD. (For the campers among us, there's a nice KOA located in Interior). Here, you can get your fix of trinket shopping at the infamous Wall Drug and explore Badlands National Park. Drive the Badlands Loop Road, pop in to the Ben Reifel Visitor's Center where your kids can become a Junior Ranger, and hike the 1.5 mile Notch Trail. Rtip: If you see signs for 1880 Town and have time, go. It's a replica of an old town - houses, stores, movie props for 'Dances With Wolves', and oddly, a camel named Otis. My husband didn't love this pit stop, but the kids and I couldn't get enough. From the Black Hills, we took a day trip out to Devils Tower, WY and learned that the most stable shape is the hexagon. It's true. Think about bees, the stability of their hive and desire to efficiently store the most amount of honey. And nature certainly seems to prefer the hexagon...turtle shells, patterns on a giraffe, and flies' eyes, to mention a few. Weird, right? Devils Tower, 'towering' at nearly 900 ft., contains 1599 hexagonal columns. Some say the structure was created by aliens. In fact, it was the landing pad to a gigantic alien mothership in 'Close Encounters of the Third Kind'. The how and why of the structure is still up for debate, but geologists can agree that it formed underground from molten rock. It's a culturally significant site for Native Americans, and in 1906, Theodore Roosevelt declared Devils Tower the very first national monument. If you’re a rock climber, you probably already know about this place. If you’re like my family, you’ll enjoy hiking the 1-mile trail around it’s base and maybe challenging yourself to test the boulder field above full of…you guessed it, more hexagons. Custer offered us a wonderful central location from which to roam the Black Hills. We chose a vrbo property and I almost hate to give out the details because we want to go back there again (and did the following June!). Situated in an 1879 Mining camp, The Bonanza is literally on a mountain top in the middle of the forest. You can see Black Elk Peak, The Needles, explore, hike, run...just make sure you have the heart (and vehicle) to make it past the National Park gate. Property owners do a fantastic job maintaining the road, but I wouldn't take a VW Bug up there. We could've stayed in this cabin and surrounding area the whole time, we loved it so much. But adventure awaits...and the Bonanza was the perfect place to return 'home' and unwind. RTip: Also check out the Bavarian Inn in Custer, friends stayed recently at this adorable hotel. For a fun and unique experience, check out the SeaCamper! It’s not on water, but is near Hot Springs, ideally located near Evan’s Plunge, Mammoth Cave, and Wind Cave. It doesn’t have a great deal of space, but with sleeping for 4, a gorgeous deck, a hot tub and amazing views, the nightly rate was surprisingly reasonable! The owners have quite a few very cool properties for ‘glamping.’ Check it out. Rtip: If you are looking for unique accommodations, check out Under the Canvas, for luxury camping near the Black Hills. Their safari-inspired canvas tents offer comfy king beds, wood stoves, a private deck, and a few even have their own bathrooms. If you’re more in the mood to fully appreciate all that Custer State Park has to offer, Bluebell Lodge is another great choice. It has charm, location, and amenities. Plus, the horse stables are conveniently located right across the street. You can either get a room or suite in the lodge or rent a small cabin with a fire pit. Enjoy an old-fashioned chuckwagon dinner and live music. Most of the reviews for this lodge were very good, but keep in mind that the cabins are a bit more rustic and you will likely encounter wild life…which could be fun! RTip: If the Bluebell Lodge is booked, another highly recommended option are the 32 private cabins at Sylvan Lake Lodge. What can I say? There is so much to see and do in Custer, SD. I’m sorry, friends, you will not get to it all in one trip (or multiple trips for that matter). But that leaves you with so many options! Entire days can be spent in Custer State Park, hiking, driving the 18 miles of Wildlife Loop Road, biking, enjoying water activities at Sylvan Lake (in warm weather), stalking buffalo…avoiding buffalo! The park is rich with exploration and adventure. If you like hiking, the Sunday Gulch Trail, beginning at Sylvan Lake, is so cool. Make sure that everyone in your group is ok with some mild bolder climbing. There are rails to assist. I promise it will be well worth it…moss-covered granite walls, crossing over streams, some of the most scenic views in the Hills. It should take you 2-3 hours and is a moderate 3-mile loop. If you are feeling ambitious, Sunday Gulch can be done in combination with other favorite, the climb to Black Elk Peak, which winds through the Cathedral Spires. The climb to Black Elk (formerly Harney Peak), also starting at Sylvan Lake, offers the most breathtaking views. It does take 4-5 hours so you’ll want to plan ahead for this one. Take snacks, plenty of water, make sure your kids use the restroom. At 7240 ft, the peak is the highest point west of the Rockies. Sadly (due to the restroom thing), we made it up only 3/4 of the way. Still, so glad we tried! If you’re able, it’s a must. Rtip: Begin the Sunday Gulch Trail by going down the boulder staircase. The hike will be much more manageable this way. The third largest cave in the world, Jewel Cave is an underground wilderness with beautiful crystal formations and glimpses of brilliant color. Of the two caves in the area, we found Jewel Cave to be more visually striking. Yes, it’s touristy. And yes, it’s likely all an illusion. But the premise here is that the area is home to a gravitational vortex that causes trees and everything else in the vicinity to go toward the gravitational pull. It was freaky - and awesome! From here, you can hit both Crazy Horse and Mount Rushmore. Crazy Horse is a memorial for all Native American tribes and was begun in 1948. Once complete, it is considered to be the 8th wonder of the world, and its story and implementation is awe-inspiring. It makes Mount Rushmore look small, to be honest. A visit to Rushmore is still worthwhile, however! And visiting when they light this national memorial is said to be a real treat. 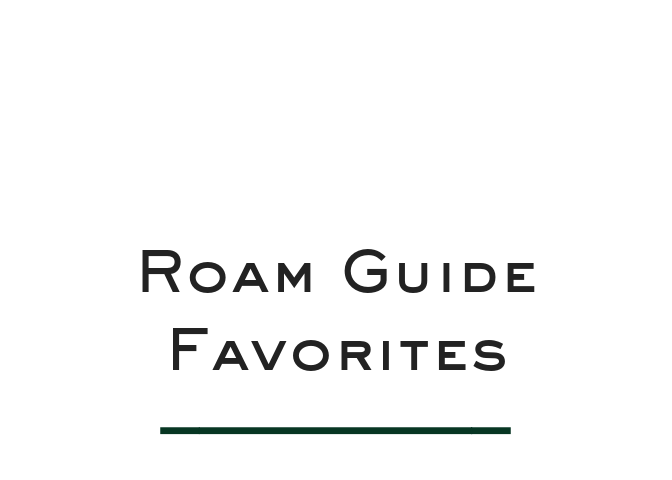 RTip: With so much to see in the area, you'd be remiss not to consider seeing some of it from the sky. Black Hills Balloons offers a magical sunrise journey with spectacular views and a bucket list experience. If you have the time, head to Hot Springs for a day. Here you can find Wind Cave, the Mammoth Dig Site, and Evan's Plunge. Wind Cave has some amazing box work (a caving term, we came to understand). Our daughter preferred Wind Cave over Jewel Cave, as she gets claustrophobic. Named a National Park, Wind Cave is one of the largest and most complex caves in the world. Most of the cave has yet to be explored. If your kids are into dinosaurs and fossils, put the Mammoth Dig Site on your list. It’s an active dig site and contains remnants of 61 mammoths. There’s an informative tour, which can be purchased on site easily. Upgrade and do the junior dig, if it’s an option. Very educational and our kids loved this. Our son now wants to be a paleontologist. Not too far from here is Evan’s Plunge. A natural hot spring with with warmish water, water slides, and a pebble bottom, there is an allure here. It was a highlight for the kids…then again, they’re suckers for a pool! My husband and I thought it was ok. It’s a glorified swimming pool and can be a nice break from the site-seeing. How did we fit all this into one long weekend, you say? Yeah, we didn't. We went back in the early summer. It turns out that mid-June wasn't terribly crowded! We listed our faves...chose what's best for your family with the weather you're given. Rtip: Keep in mind that you may have some drive time to factor in. Hot Springs is about 1.5 hours from Custer, and Rapid City is even further north. Check your mapping program to plan accordingly. Oh, and also make sure that you book tickets to the caves in advance. They sell out! I can’t say that shopping was a priority for us on this trip. What I can say is that my son was obsessed with the many rock shops, and we loved them too. Gems, minerals, precious stones, petrified wood, buffalo jawbones, and the largest hunks of rose quartz you ever did see! Ken’s Rock Shop was our favorite. If you tell your friends you’re headed to the Black Hills, every one of them will tell you to stop at Wall Drug, and I will too. Pharmacy, free coffee and every type of souvenir imaginable. It’s an institution. We love to cook! And to be honest, since we also enjoyed our cabin so much, we didn't eat out a whole lot on this trip. We typically hit the grocery store in Hill City and headed back to leisurely make dinner while the kids ran around the property and collected rocks (living in the city, that's not a luxury we usually have!) We did eat out a few times for lunch. Below are our suggestions. We loved the ambience and quaint creek-side experience of The Blue Bells Lodge. We ate outside, which is always a win in my book. But inside is fine too, wonderfully cozy and filled with western decor. In a place 'where the buffalo roam', you're certain to find them on the menu, along with rattlesnake sausage. If they have it, order the The Black Hills Buffalo Stew. Yum! Sadly, I could have done without our dining experience at the State Game Lodge. I read some wonderful reviews, especially for the Sunday brunch. We went for lunch and the whole meal fell a little short. It is possible that we went on an off-day, but it felt stark and old-school supper club (not in the great way). A little bit off the beaten track, as in Spearfish, SD, stop in at the Bay Leaf Cafe. Vegan and gluten-free options, American and Mediterranean fare. Such friendly service, fantastic food, and art that seems to be in constant rotation. When we were there, they were exhibiting local quilts. Charming and vibrant! The whole town of Spearfish feels this way. The drive back to Custer was one of the highlights of our trip. Gorgeous and idyllic! And a fly-fisherman's dream. Sad fact, folks: Bay Leaf Cafe has just closed. A fantastic alternative is Killian’s Food & Drink with a variety of food and a mecca of beers on tap. Looks like a fun atmosphere, too! Remember when I mentioned Wall, SD, near the Badlands? If you end up stopping here, go to the Badlands Saloon and Grille. Full bar, great beers on tap, and delicious pizza! This place hit the spot, especially after a full day of travel. 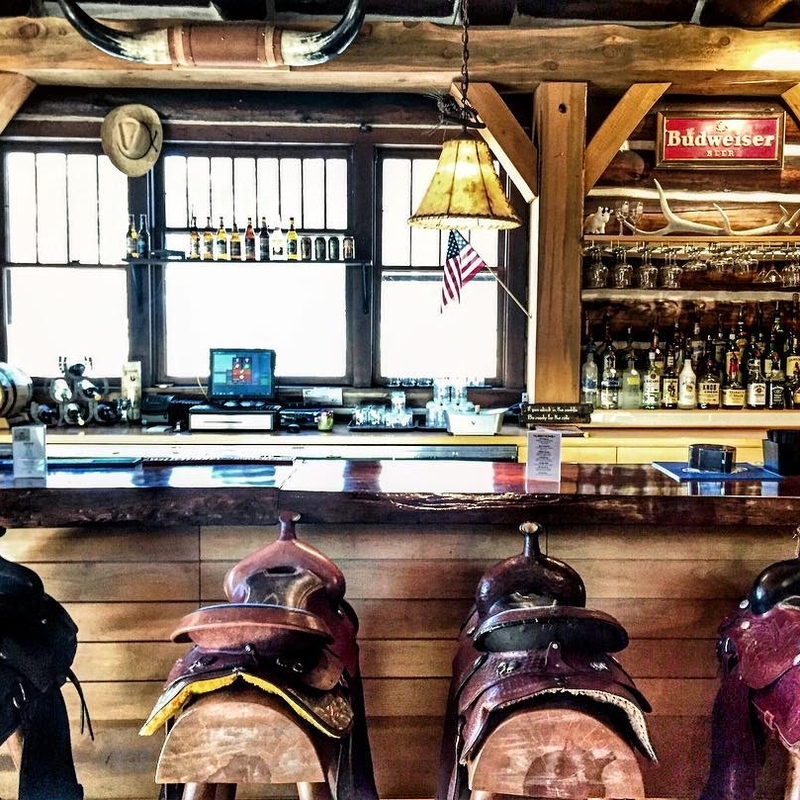 RSommSays: While there are very few standout drinking holes in SD, it's worth seeking out a Whiskey and a beer at Wild Bill Hickok's original bar, Saloon #10 in Deadwood. The place is legit haunted. I would suggest a Biotite rechargeable light to help you find your way, a cross body bag, a seasonal hat, rock and gem books for the kids, a french coffee press and these awesome binoculars to see those buffalo up close. If you don't have a pair of binoculars the pair featured below is the only set you'll ever need. They are appropriate for kids or adults, accommodate eye glasses and are totally affordable. See all my picks below. Sorry, Deadwood. We originally thought of staying here, but our visit was a disappointment. Hoping for a nostalgic feel of Wild Bill and the Old West Gold Rush, it offered little more than casinos and souvenir shops filled with shot glasses and cheap t-shirts. But, hey, if this is your thing, by all means! It is beautiful, and it’s fun to imagine what it may have been. Sadly, aside from Wild Bill Hickok's Saloon # 10, those days are over. I would personally skip the Corn Palace as well. I know it is one of those places everyone goes, but we were underwhelmed.